The Raveonettes: Winter In The Summertime Listen to the rock duo re-create the gloomy skies of Denmark in this dark but nostalgic session. Sune Rose Wagner and Sharin Foo of The Raveonettes. 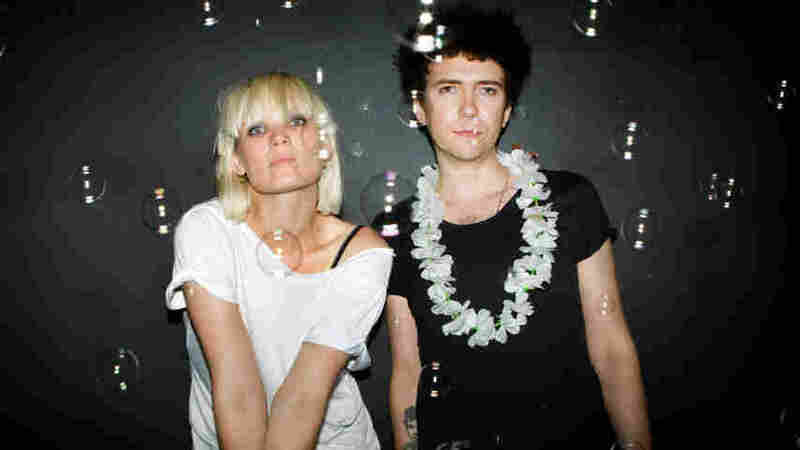 Sune Rose Wagner and Sharin Foo are The Raveonettes, a Danish duo that's been putting out consistently solid records for a decade now. I've always been impressed with the pair's ability to make two guitars sound so huge, and when The Raveonettes stopped by the WFUV studios for the first time in April, I was excited to learn more about how Foo and Wagner blend their old-school rock 'n' roll influences with a sense of gloom and darkness. There has always been a sense of cinema in The Raveonettes' music, as well as a healthy nod to The Jesus and Mary Chain and The Velvet Underground. Wagner called the recent Raven in the Grave "the perfect winter album, just in time for spring," and it's an accurate assessment. Hear for yourself, as he and Foo perform four of their new songs here.